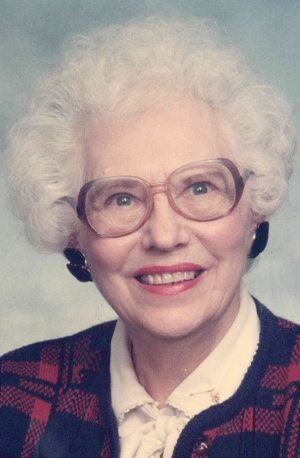 Esther Elizabeth Galloway Fisher, 102, passed away on April 10, 2019. Born in Altoona, PA, she was the widow of James Henry Fisher who died in 1984. Esther was the youngest of six children of Enoch and Maud Wilson Galloway, formerly of Bradford, England. She was preceded in death by three brothers; David, Benjamin, and Joseph, and two sisters; Evelyn Galloway Corbin and Margaret Galloway Ehrenfeld. After high school, she joined the Beta Sigma Chi Sorority in Altoona. Upon marriage and moving to Lancaster, she was a Girl Scout Leader at Holy Trinity Catholic Church in Columbia and a member of the Columbia Women’s Club. Later, she was a member of the Lancaster Charter Chapter of the American Business Women’s Club, the Lancaster League of Women Voters, and secretary of the Penn/Delaware Chapter of the International Society of Arboriculture in Philly. She served 21 years of service as secretary in Public Works and secretary of the Shade Tree Commission for Lancaster City and was on the Board of Long’s Park Amphitheater. Esther was a member of St. James Episcopal Church and active in the Anchorage Breakfast program. She is survived by one son; Dennis Michael Fisher, husband of Brenda, of Dover, DE, and several nieces and nephews. Friends and family are respectfully invited to attend a graveside service on Friday, April 26, 2019 at 11:00 AM at St. Joseph New Cemetery in Bausman, PA. In lieu of flowers, contributions may be made in her name to the St. James Renovation Program, 119 N. Duke St., Lancaster, PA 17602.